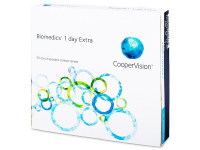 Biomedics 1 Day Extra are daily contact lenses from CooperVision. 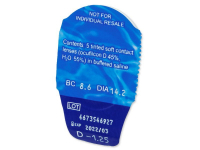 They feature embedded UV filters and a light tint for easier visibility and handling. Naturally comfortable, these lenses are ideal for beginners or occasional wear. 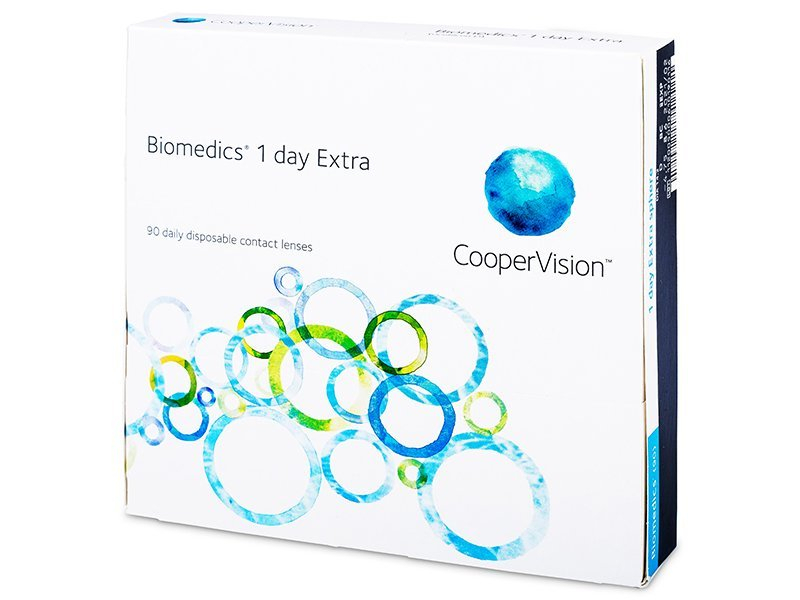 Biomedics 1 Day Extra daily contact lenses manufactured by CooperVision are designed for maximum all-day comfort. 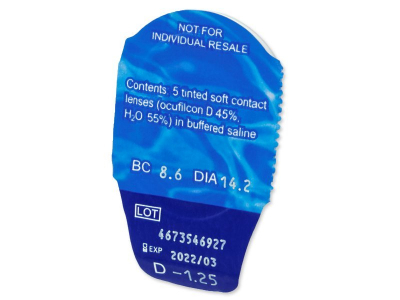 These high-quality lenses are characterised by very thin edges, which help to reduce friction and irritation. Biomedics 1 Day Extra contain UV filters and are lightly tinted for easy visibility and handling. This package contains 90 lenses. We also offer a smaller package containing 30 Biomedics 1 Day Extra lenses at a great, low price. 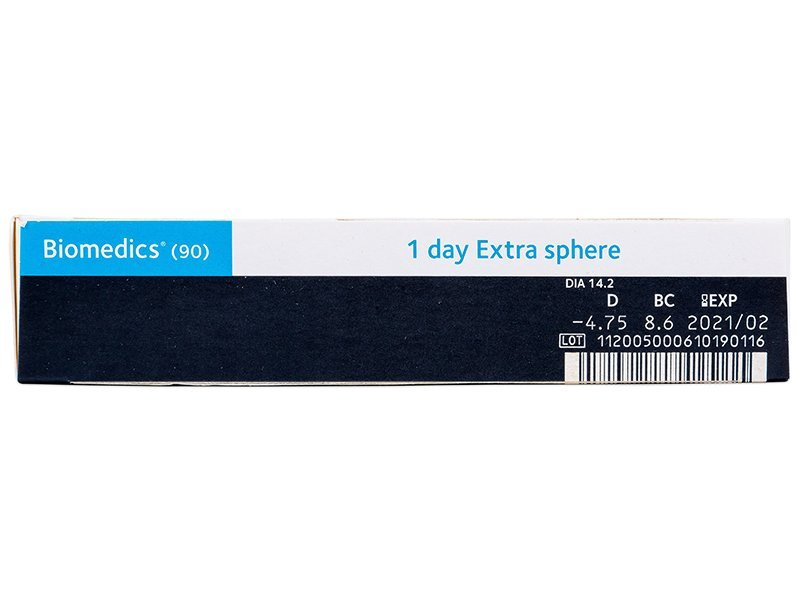 Biomedics 1 Day Extra are ideal for beginners or those who wear monthly contact lenses and no longer wish to care for them. Daily contact lenses are also considered to be the most comfortable and healthiest option for contact lens wear.